How long does it take to finish a Half Ironman Triathlon? 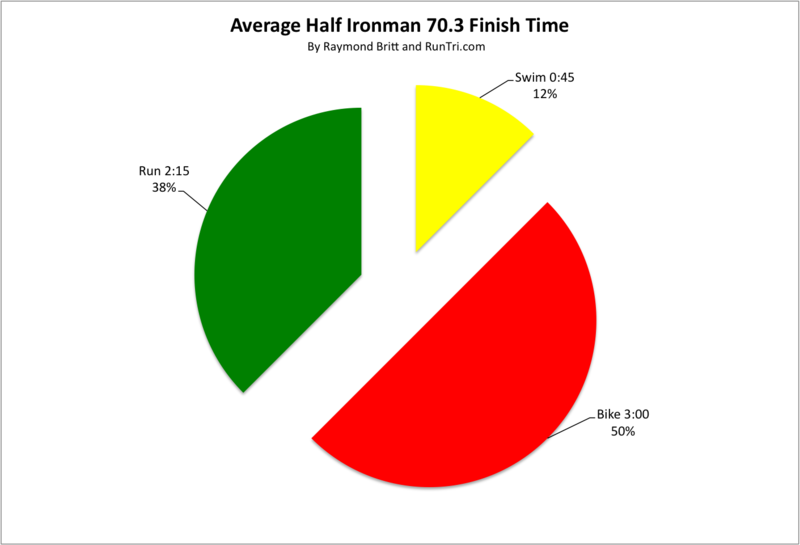 The answer, based on our analysis of more than 67,000 finishers in 40 Half Ironman triathlons: about 6 hours, on average. Swim 1.2 miles in 45 minutes, Bike 56 miles in 3:00, and Run 13.1 miles in 2:15. Of course, there's a great deal of variation by age group. 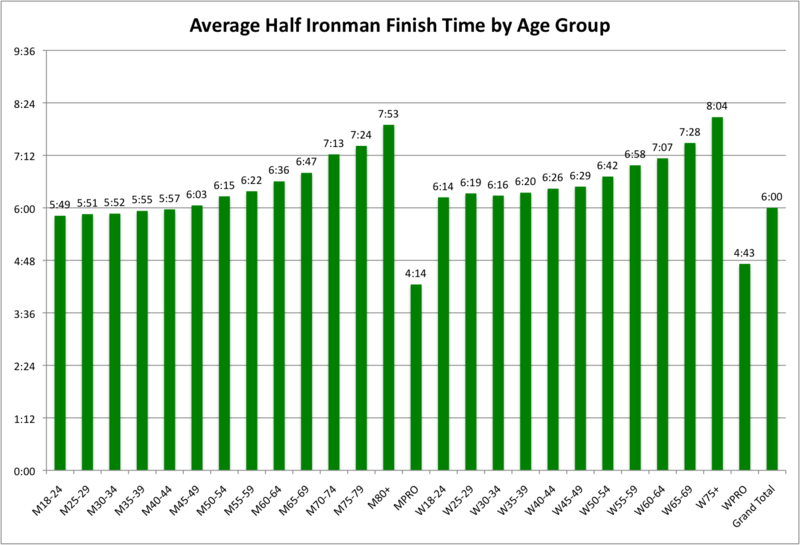 Here's the breakout of average half ironman finish time by division. Then, we dig one level deeper, to define the average swim, bike, and run splits by age group (here, the columns are sorted by overall finish time, ascending). How long should it take you to finish your half ironman? 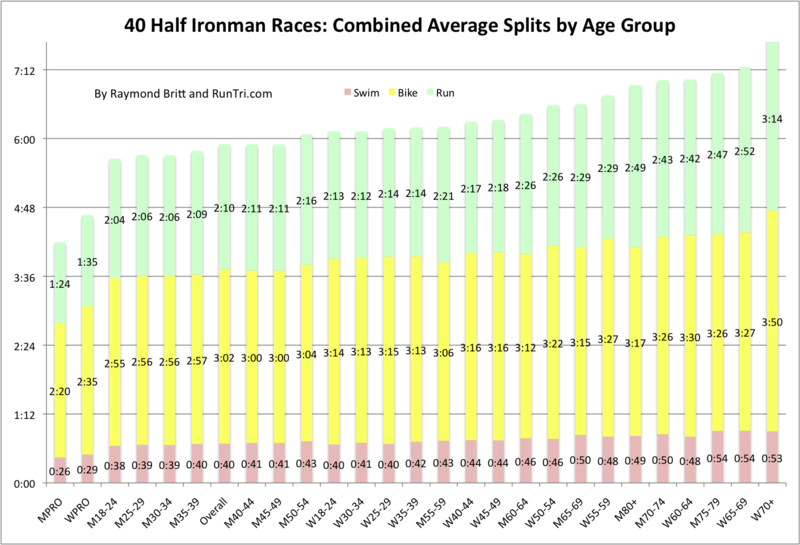 These times and splits by age group are perfect targets to shoot for.